This is a solid aluminum heat sink compatible with most 1W to 3W LEDs already mounted on star heatsinks. This heatsink can dissipate up to 3W of heat. 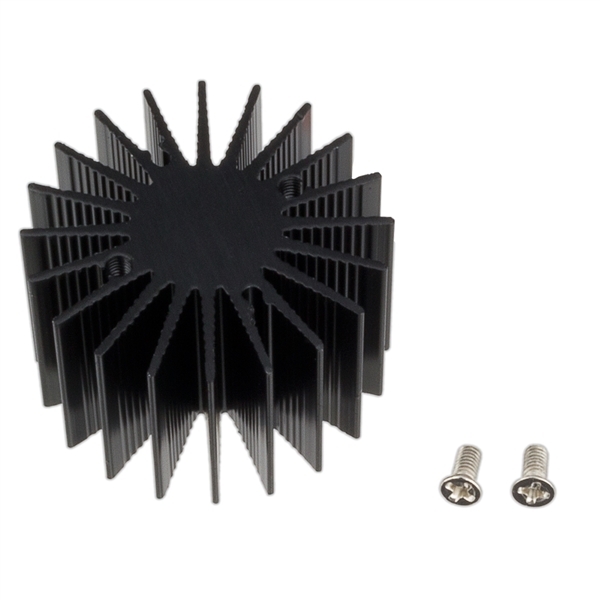 An external fan can increase the heat dissipation abilities of this heatsink above 3W. An external fan can increase the heat dissipation abilities of this heatsink above 3W. The threaded mounting holes and included M2 screws make it easy to quickly install a high power LED. We include a packet of heatsink thermal paste. Just squeeze out the past onto the surface of the heatsink then install your LED onto the same surface to get optimum thermal conductivity from your LED's star heatsink to this heatsink. 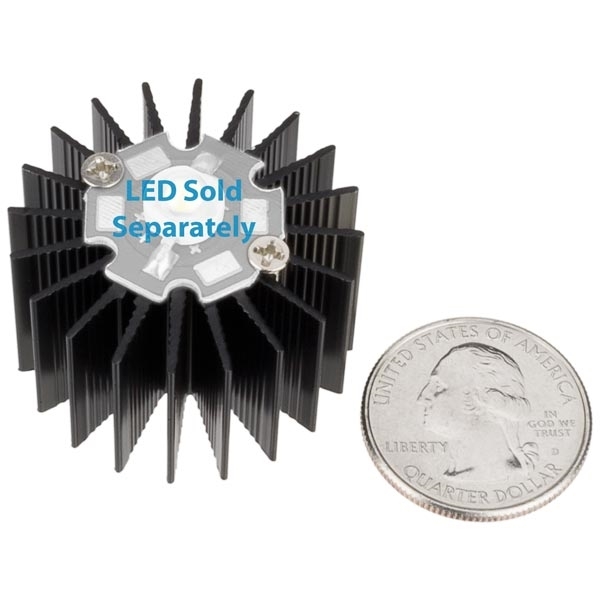 See "Recommended Accessories" below for our high power LEDs that are compatible with this heatsink. Works perfect, I like that it includes thermal compound. These work well after having 3 of them in close proximity to each other. Have not noticed any problems.